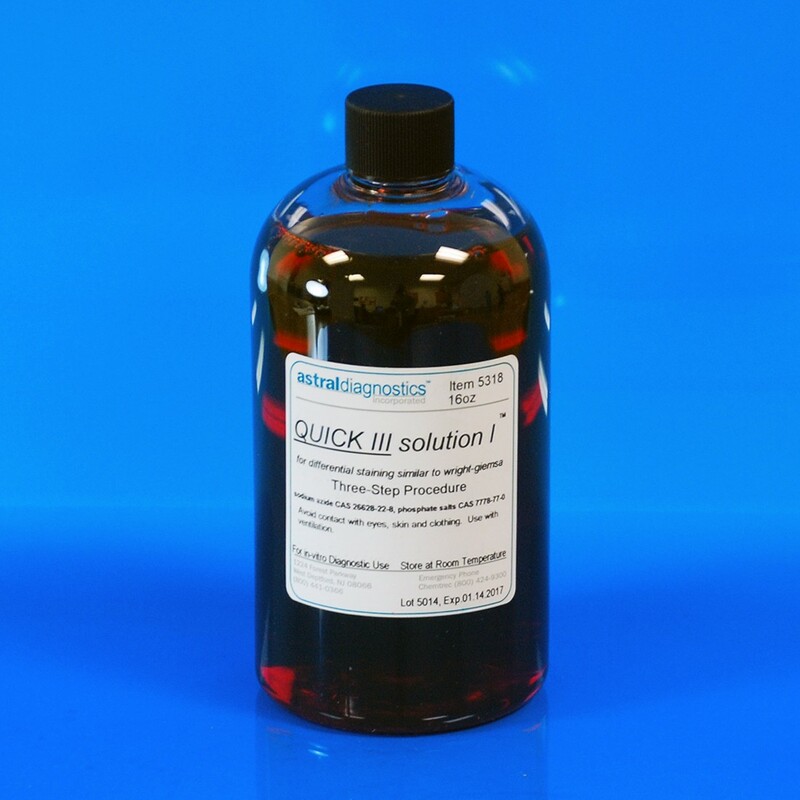 Quick III Solution I | Polysciences, Inc. Solution I (Eosin) is used in combination with Solution II for the differential assessment of blood smears, detecting H. pylori microorganisms, sperm analysis, and interpretation of FNA biopsies. FDA approved for in vitro diagnostic use.